Someone complained to me once that she kept on hearing Kylie Minogue's "Can't get you out of my head" the whole day. She tried to get rid of the singing voices but it kept on popping up in her head. In so many occasions, friends or acquaintances of mine will say, "I kept on hearing this song all day" or on occasions and while listening to a familiar song, someone will comment, "I hope this (the song) will not stuck in my head." If you experience this several times followed by ringing in the ear (like tinnitus) and then you start hearing voices, talking to you, commenting, giving you instruction or worst, insulting and cursing you, don't panic. Good news is, there is a big chance you are not crazy but a target by an unknown criminals. Decades ago, when someone hear this person is "hearing voices," he or she will assume this person is crazy, and suffering from schizophrenic episode, or worst, a delusional person possessed by evil. But now with the emergence of digital media and readily available information, I can say that if you hear voices, there are a big chance that you are not delusional or schizophrenic but maybe a victim of electronic harassment and mind control experimentations. These instances are common when someone is being attack by voice to skull technologies. If you are reading this blog, you are probably a targeted individual and experiencing EH (aside from OS). Normally the attacks starts with ringing in the ear, mostly mistaken as tinnitus. If you are experimenting with ear plugs and also doing some breathing exercise to combat the relentless attacks, you will recognized the motor-like pulsating sound. Eventually, with patience and vigilance you will be able to recognize the signs and you will be able to distinguish your own thoughts from the external voices. The abusers on this phase will give you instructions or comments on what you are doing or thinking. This maybe a very low voice that may sounds like your own thoughts or sometimes just an out loud attacks. Electronic harassments involves direct energy weapons (electromagnetic radiation), microwave hearing, voice to skull, computer hacking, and other harassments that involves electronics. The perpetrators can access your security alarm, air condition, heater, fridge, television, clock, cell phones, landlines and computer. Basically anything that has motor and electronics. They can change the display dates and clocks on your electronic appliances. They can re-programmed your computer and television programs. They can emit radiation on television or computer monitors. I came to believe that the harassments are broadcast globally. The perpetrators will do their very best to make you think that the harassments are a violation of TI's human rights which is by the way, is true. All to make you feel angry and frustrated. Counteract this, by using the broadcasting as a platform for your activism. Always think that people are not stupid, that there are still many decent and sane people out there. People who knows what is right and wrong. And people who still believe in human rights, freedom and decency. 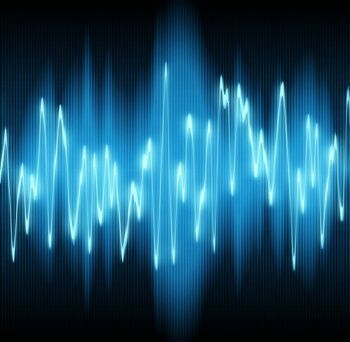 Although other “countermeasures” like white noise, colorbars and six radio tracks do works, targeted individuals can also use or play mp3 tracks about OSEH (organized stalking and electronic harassments) while the harassments are being broadcast globally. Targeted individuals will experienced physical threats verbally and through induced sounds. In my case, the induced sounds normally happened to me during the early hours of the morning, normally to wake me up. It also insinuate some sort of punishments imitating spanking or a blow in the head. At first I was bothered by this physical assault but I learned to bypass/ignore this. Another physical assaults are the "body attacks" using direct energy weapons. Targeted individuals will feel a pulse-like vibrations on the body. He or she will feel a sting followed by strong itchiness. Once he or she scratched the itchy area an unusual reddish "welt like bump" on the skins will appear. Also, an attack on eyes will have the same results with watery, red sore eyes. Normally to induced tears with sad emotions. On several occasion, targeted individuals will experience several hypnotic state while staring at computer monitor or anywhere. Targeted individual will notice and learn to snap out of this state eventually. Another symptoms of the attacks are shortness of breath or the feeling fo being choke while being attack on chest or neck. Follow my advice on my previous blog about health in reducing the results of these attacks. Hearing is simply the act of perceiving sound by the ear. If you are not hearing-impaired, it simply happens. Listening, however, is something you consciously choose to do. Listening requires concentration so that your brain processes the meaning of words and sentences. Listening leads to learning (d.umn.edu). In this description, treat voice to skull as hearing, it’s an unavoidable sound that simply happens. The sounds of an old door opening, the sound of the tree branches on a windy day, the sounds of creaky floors while walking. Voice to skull harassments doesn’t need your concentration, your attention, it doesn’t need your brain to process it, its nothing, and it’s meaningless. When it’s meaningless, you don’t have to listen to it. The perpetrators will harassed you by impersonating your own voice while reading. My elementary teacher thought me to “read with your eyes and not with your lips,” this tip are very true with targeted individuals. It will take sometime for someone to learn how to read with your eyes as we are trained to read with our mouth and the harassers’ technology relies on the sounds that’s coming from your mouth while reading. There are techniques that can distinguish your own voice to the perps.’ Learn to “slow-read,” ‘rewind or fast forward,” all while reading. You will see that they will loss their rhythm. Also, when you realize the perpetrators are reading way ahead of you, stop and let them read by themselves. When watching a movie and reading the end credits, stare at the screen, like looking at a blank screen and avoiding reading any letters or words. Let them read by themselves and you will see that they are useless without your vision or cooperation. Without you they can’t read! So take charge and take full control. Since sometimes you can’t stop them to read while you're doing the same, take charge. Ignore them. You are the one who will decide what to read, how to read it (whether backward, forward, slow, or fast! ), when to read it and where to read it! It’s your brain, own it! When targeted individuals are being harass using voice to skull or microwave hearing, the harassers used tailored harassment protocols. Use the “hearing vs listening” technique and take control of the protocols. Once you start hearing negativity, counteracts this with “Stop” button technique. Only positive thoughts will pass the door for processing. You only allow those thoughts that you wanted. Take full control what you wanted to think. You’re brain, you’re the boss. Without you they’re nothing. Without you they will not get their funding/income. So take charge. If you hear voices that is distinctly not your own thoughts, ignore and do not participate! Whatever accusations, cursing, filthiness, nastiness the perps says, do not engage with then with any arguments! Do not give them any attention. Remember they are already getting paid and you’re not getting anything back except the physical and psychological harm. Since they are forcing themselves into you, do not give them anything more but stare and silence which is more than enough. Targeted individuals will experience microwave and ELF hearing everywhere including from electronic appliances, air vents and running water. Most of these harassments are based on harassment information gathered during the initial surveillance. These harassments are ongoing and called protocols. Targeted individuals will have two main voice to skull harassments. The first one is the voices that he or she can hear. The second one is the silent or low frequencies. 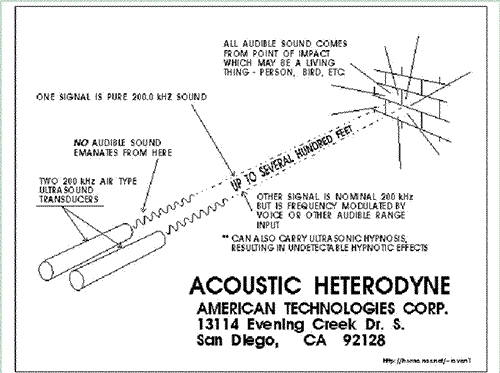 Low frequency harassments are used to deceived targeted individuals, imitating his or her inner voice. Eventually, targeted individuals will be able to distinguish between the two and the harassments patterns. Used the hearing vs listening technique. Learn to listen to your own breathing when the harassments is becoming out of control. And remember to not participate no matter what. You will hear, “I told you so, he’s doing what I am saying,” or “He is following me!” or “Listen to me!” No matter what, ignore them, its your brain, your thoughts, own it! Take charge. Every targeting has the same blueprint: surveillance, noise campaign, mobbing, stalking, electronic harassments. The only difference is each individuals has its own personalities, life experiences and brain signatures. These differences are used with each daily harassments. In my case for example, microwave hearing/v2k harassments involves the use of people I know (whether personally or just the people I admire or abhor). The harassments can be a past events or imaginary. It can be a petty crimes of friends; forbiden anti-Christian sins of a relatives; my own intimate affair or sexual relationships of people I know; even my silly crush on celebrity! Also, another regular harassments includes imaginary unrespectful, vulgar sexual acts normally spewed on my ear involving famous politician or the local politician where I am living. All of these broadcast harassments are to elicit reactions from me. I believe that some are treating this harassments as some sort of entertainment and that no matter what the harassments are all about, everyone seems ok with this. The perpetrators are exploiting everyone including the elders, children, religions, several ethnic group, governments and its legislation inciting hatred, planting doubts and lies like these are just normal daily occurences. As they will play with your emotions, they will use all possible tricks imaginable. They are mostly a bunch of bad actors! They will act and impersonate targeted individuals. They will beg for pity using dialogue familiar to targets. If targeted individuals likes movies, they will use movie lines taken from targeted individuals favorite movies. They will cry (normally asking for mercy) or shout (like he or she is asking for you to fight back), all rehearsed and seeking for target’s attention. Sometimes they will use other voices, the most common, a child or a group of children crying, laughing, or shouting. Again, all to get targets’ attention and to get him or her involve with their role-playing or scripts. Do not participate. Be aware of the silent impersonators who will imitate your own inner thoughts. Since this deceptive voice are impersonating you (most of the time these thoughts are commands), you have to ignore the audible follow-up harassments saying, “I told you, he’s following me!” Take charge of your thought, “your brain, your thoughts!” Don’t let criminal harassments be the focus of your daily routine. There is more in life than criminal harassment. Lastly, remember the most important advice I mentioned on my earlier blog, no matter what, whether the voices are audible or silent, DO NOT COMMIT SUICIDE. With all the time and effort the perpetrators spends on you, do not think that they’re not getting anything back. They will create a perception that this is for “national security,” for “counter-terrorism,” or for ‘behavioral modifications.” All lies! Unfortunately, the primary motive for this operations is money! Contracts being developed and paid. Companies and organizers profiting. Technician getting a decent income and other benefits. It’s all about making money, nothing else. All other are just a bonus. A few laughs there, a few entertainment here, but as the hype of having this technologies and the novelties attached to this died down, it's all boils down to – everyone are getting something back, and that is money! “Voices” on Running Water (Microwave hearing) – Targeted individuals will hear voices in running water in the faucet/shower, counteract this by not turning the faucet in full maximum capacity, reducing the sounds into minimum. This technique will reduce the soundwave coming from the running water and will also reduce the intensity of harassments (voices). One will also have to learn not to flush the toilet while still inside the room, do this before exiting so that you will avoid hearing the sounds of the water while the water tank is refilling. While taking shower, again, do not turn the shower in maximum level, minimize the running water into minimum, if you notice that the harassment (voices) are getting too intense even with the minimum level, wet your body so you can lather with soap then turn the water on, only when its time for you to rinse. While you can minimize the sound coming from running water, I am still investigating how to prevent or minimize the harassment coming from air vents, microwave and fridge. You can turn this off as usual or put some insulation so that it will reduced the noise while its running (Electronic Harassments).